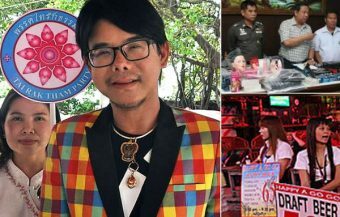 As UK police intensify their investigation into the Thai woman’s murder in 2004, there are reports of UK detectives interviewing past acquaintances and work colleagues of Lamduan Seekanya. Meanwhile, as the Yorkshire Police force appeals directly to the public to come forward with any details on Lamduan’s life in the months and years up her disappearance, the Thai Women’s UK Network is helping to raise funds to repatriate her remains back to her family in Udon Thani, a poor but vibrant province in northern Thailand where there are many Thai women who have married foreign men and also now home to many western foreigners. 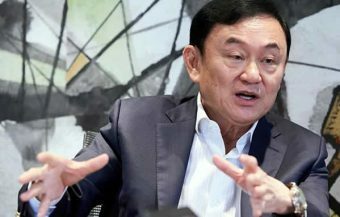 It is also reported that officials at Thailand’s Justice Ministry are looking at possible access by Lamduan’s family to a national compensation fund for the victims of crime while not ruling out the possibility of future legal proceedings against a culpable party. 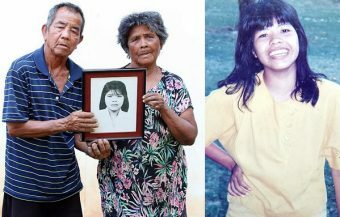 The confirmation that the mysterious ‘Lady of the Hills’ buried in the idyllic village in Horton-in-Ribblesdale for well over a decade was, in fact, the body of murdered Thai bride Lamduan Seekanya has given fresh impetus to an active UK police investigation into her murder being conducted by the Yorkshire police force. 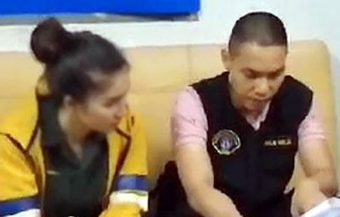 It is also driving concern for and a wish to help Lamduan’s family in Udon Thani to find solace and closure in the matter as efforts are made to repatriate the tragic Thai woman’s remains to Udon Thani in northern Thailand. 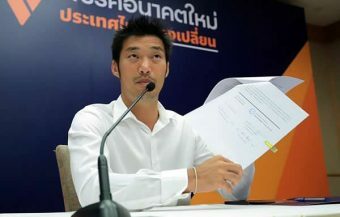 There are also reports that Thailand’s Justice Ministry is looking into the possibility or implications of a criminal prosecution relating to the matter in Thailand and how compensation for her family, including her elderly mother and father, may be provided from a national Thai fund established to compensate the victims of crime. The mother and father of Lamduan Seekanya, 73 year old Jumsri Seekanya and her husband, Buasa, hold a portrait of their daughter who would be 51 years age today. She was 23 years old when she married UK man, David Armitage, in 1991. He had been working as a teacher in the north of Thailand. The couple and their three children lived in Portsmouth after returning to the UK until 2003. For much of that period, they appeared to be happily married and visited Thailand to meet Lamduan’s parents regularly. However, it appears that the Lamduan was experiencing marital problems in the months up to when the family moved from Portsmouth, first for Warwickshire and later to Lancashire and Cumbria. UK police have suggested that her former husband, who is now living in Thailand, is not a suspect in their now extensive murder investigation. David Armitage has vigorously denied any suggestion that he was linked to the disappearance and murder of his Thai wife in 2004. Lamduan’s family are looking forward to the repatriation of her remains to Thailand which, it is suggested, may take place in a month or two. 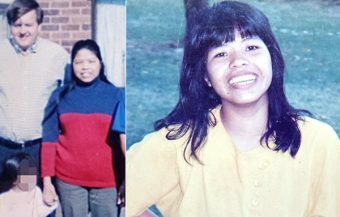 News from the UK this week suggests that British detectives are working diligently to explore and understand the life history of Lamduan Seekanya, the tragic Thai woman who is believed to have been murdered in northern England in the days or perhaps weeks running up to the 20th of September 2004. Detectives in the UK suggest that her murder certainly took place within 3 weeks of her partially clothed body being found by hill walker Malcolm Pierce on that date. It has also been revealed this week that the Thai woman, who was married UK teacher David Armitage in northern Thailand in 1991, traveled to Thailand in 2003 and 2004 before her death. The Thai woman was married previously in Thailand before her wedding to the UK man when she was 23 years of age in 1991. 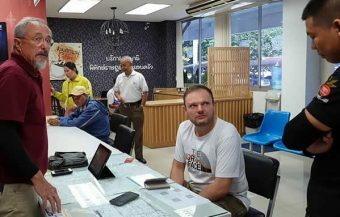 It is understood that it was only in 2001 that the couple were legally married in Thailand at the Provincial Justice Office in Udon Thani. This week, the local newspaper in Portsmouth, the port and city in the south of England where Lamduan lived for most of her married life with her husband and three children, interviewed many within the Thai community in the city that had known Lamduan. Thailand’s expat community is very low profile in the United Kingdom but also closely knit. It comprises very much of Thai women who continue to marry UK men in large numbers despite moves since 2010 by UK authorities to raise the bar by imposing income requirements on UK men seeking Thai brides and like other European countries, requiring that the Thai women learn to speak English fluently, adopt to the culture and integrate. This Thai women do very successfully and are among the most diligent and hardworking immigrant communities in the UK. The same, fortunately, can be said of Thai communities in all western countries. One of those interviewed for the news reports this week was Sue Mayne who is highly regarded by many Thai women who come to live in the southern English city and port. The 74 year old is a chef and restauranteur who has long been involved in the the management of Thai restaurants. Thai restaurants are an unofficial contact point for many Thai women in the United Kingdom where, unlike communities of Thai women in some European countries and Australia, they do not form strong, visible and outward communities centred around Buddhist temples. Thai women and their partners in the UK, as in more remote parts of Europe, are spread out over large areas and Thai restaurants have become a practical meeting point for Thai women seeking to reach out to friends from home or simply hear the Thai language spoken in person. 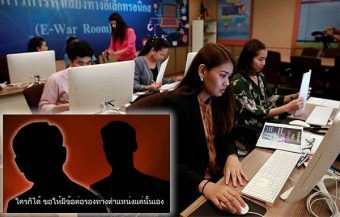 The lives of Thai women living in western countries, even since 2004, has been made a lot easier by better global communications, smartphones and social media. The rise of social networking online has also allowed Thai women to network and to form networking groups with each other even from remote areas. This was not the case so much in 2003 and 2004 when, apparently, Lamduan Seekanya was dealing with marital problems. Thai women, throughout the world, who have gone to live in foreign countries have all used Thai restaurants, which can be found in nearly every town and city as focus points to build personal contacts and networks which Thai women are particularly good at and also as good places to seek employment. Ms Mayne now leases the Bangkok Restaurant in Southsea. She told the Portsmouth News this week that a distressed Lamduan Seekanya came to talk with her about her problems in the UK which centred on family issues. 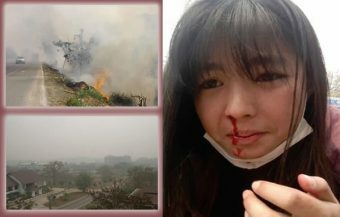 She told reporters that she recalls talking to Lamduan at a cafe near her restaurant at the time. She said she was unable to offer much advise or help to the younger Thai woman. Sue spoke the same dialect of the Thai language as Lamduan as she was from the same area of northern Thailand. She recalls that this was between 2002 and 2004. It is believed that, at this time, Lamduan moved with her husband to a new job in Warwickshire but subsequently returned to Cumbria to live with Mr Armitage’s family. In her last phone call to her mother, she told her that she was distressed about her financial position and did not have a ‘single penny’ to spend. Some weeks ago, the UK tabloid The Sun tracked down Lamduan’s husband David Armitage who, amazingly, has been living and working in Thailand as a teacher in Kanchanaburi province. He vehemently denied any involvement in his wife’s murder or disappearance. ‘I didn’t kill my wife. Absolutely not,’ he told the tabloid’s reporters. It has also been suggested that Mr Armitage is definitely not a suspect in his wife’s disappearance. 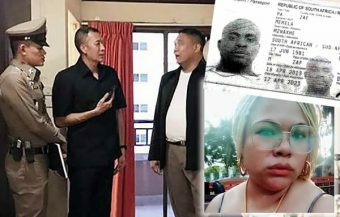 This is despite the fact that a retired detective, who had worked on the case suggested, before Lamduan was positively identified as the Lady of the Hills, that the murder victim may have been a Thai bride. He believed she may may have been murdered by her UK husband. 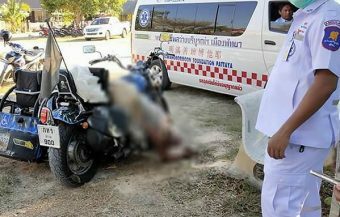 This was, of course, speculation before Lamduan was identified as the murder victim. 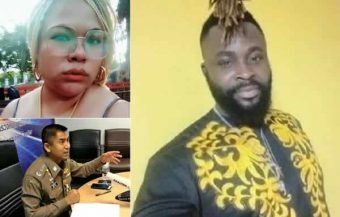 Since the woman has now been positively identified by the UK police as Lamduan Seekanya, they are now in a position to make more definite judgments in this active case. The current direction of the investigation is to establish a clearer and fuller picture of Lamduan’s life at the point when she went missing and leading up to it. Lamduan’s son visited his grandparents in Udon Thani in 2016 seeking out his mother prior to his marriage. He told Lamduan’s parents that his father had told him that his mother had returned to Thailand to marry another man. Lamduan met her UK husband in northern Thailand where he used to work as an English teacher. The couple appeared to have a happy marriage for many years and had three children. They were married in 1991. 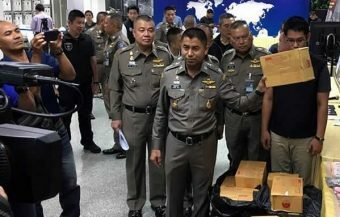 It is poignant that when her half dressed body was found without shoes, she as still wearing her wedding band made from high quality gold In Thailand. In the meantime, the the North Yorkshire police in the UK are investigating the case after it was reopened last year following a cold case review. 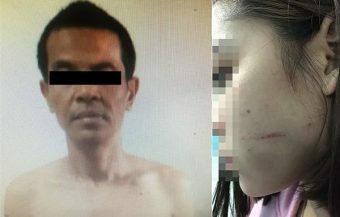 In the last week, the UK police force has come forward with a public appeal to anyone who knew Lamduan Seekanya to contact them with any information they may have on the UK Thai woman. 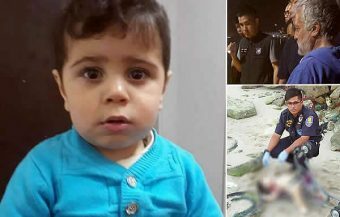 ‘No matter how small or seemingly insignificant you think the information is, it could prove to be very important to help us establish details about Lamduan’s life and the circumstances surrounding her death,’ a spokeswoman for the UK police force said. Detectives have revealed that, as well as living in Rugby, Warwickshire, Lamduan is also believed to have lived in Preston in Lancashire. She also reported to have traveled back to Thailand in the years just before her death. Friends of Lamduan, who knew her in Portsmouth, have reported that police detectives have been in contact with them wanting to know more about the young Thai woman’s life. 61 year old Sucheera Meredith was Lamduan’s supervisor at a restaurant in Petersfield, the River Kwai situated in Dragon Steet where Lamduan worked. The older Thai woman recalled that Lamduan loved her children. ‘She wouldn’t leave her children,’ she said this week when interviewed by the UK press. ‘I feel sorry for her, I remember she had three children. I’ll never forget her. She was a lovely woman to her children. She wouldn’t have hurt her children or leave her children. I know she had problems before they were moving – family problems,’ she said this week. The restaurant manager recalled that Lamduan would often come to work visibly upset with her marital problems. ‘When she had a problem with family she would become really upset at work and talk a bit, she said. 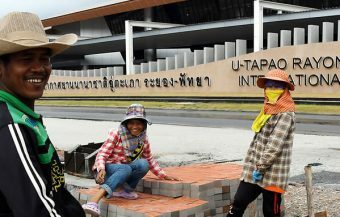 She also said that the young Thai woman was very hard working. It is now understood that Lamduan’s parents in Udon Thani would like to see the Thai woman’s remains repatriated to Thailand. ‘We want Lamduan to come home for a Buddhist ceremony in our village according to our traditions,’ her 73 old Thai mother said recently. It is understood that £5,700 of ฿235,000 has been raised by a Thai Women’s Support Network in the UK to achieve this. A friend and family cousin of Lamduan has recently visited her headstone in the picturesque village of Horton-in-Ribblesdale. She was quite emotional as she stood before the memorial to the ‘Lady of the Hills’ which may have inadvertently helped disguise the fate of the young women since 2007 when the body was eventually buried after a coroner delivered an open verdict on the remains found in 2004. It was even suggested at the time that it may have been an unknown Asian woman who had died from misadventure on the hills or hypothermia. It is understood that moves to repatriate the remains are underway but this will be a complex process involving approvals and paperwork. It is however expected that within a month or so, we will see some movement. The story of Lamduan Seekanya and her tragic murder in the United Kingdom is suddenly awakening and getting the attention it deserved and failed to receive 15 years ago. 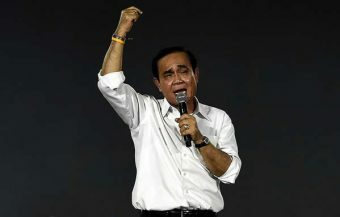 In the meantime, Thailand’s Justice Ministry has suggested that if a prima facie case is presented against any suspect, it could result in a criminal prosecution in Thailand if there was clear evidence of wrongdoing. Thailand’s criminal justice system is quite unlike that of western countries. One key difference is that individuals can initiate private prosecutions. 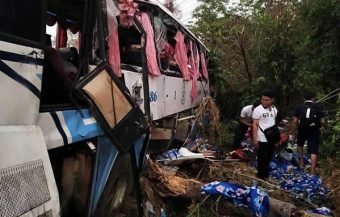 Meanwhile, in the last two weeks, the Thai Justice Ministry has also indicated that it is looking at whether there are grounds to provide financial assistance to Lamduan’s family under Thailand’s compensation fund for the victims of crime. This indicates that the Justice Ministry is examining the prospects for compensation if some criminal legal proceeding are issued in the future.